Welcome to the JRPass.com Fare Calculator. 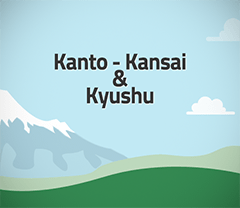 This powerful tool can be used to find the cost of train tickets in Japan. 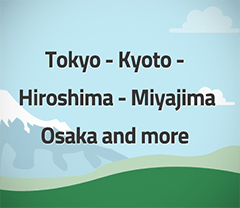 It's easy to find out how much you can save with the Japan Rail Pass. 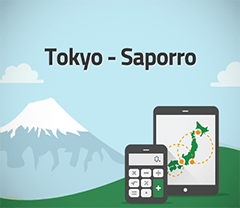 Simply search for any route, or even a full itinerary to find the corresponding ticket cost and how much you can save using the JR Pass. Below is a selection of example itineraries, click any to see how the Fare Calculator works. The Fare Calculator is unique to JRPass.com and you won't find it anywhere else. We have only included JR lines, this way you can be sure that all travel is covered by the JR Pass. Try it now and see how much you can save! Can't find the station you are looking for? Chances are you are searching for a non-JR station. The Fare calculator only shows JR Stations. If you are unsure, use a big station. For instance, instead of Asakusa use Ueno or Tokyo station. Add at least two stations to your itinerary to see an estimated cost.